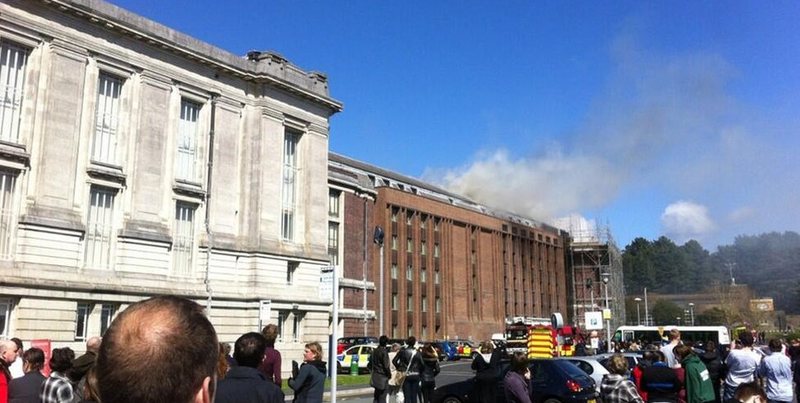 A fire has destroyed part of the Welsh National Library. 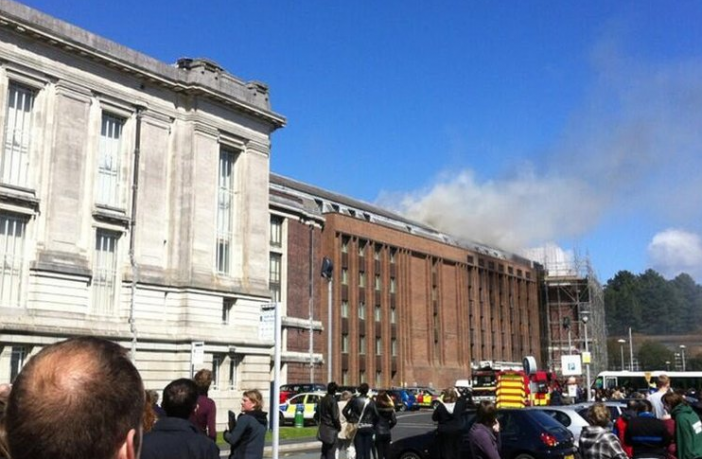 This afternoon a fire broke out atop the National Library of Wales situated in Aberystwyth leaving part of the building’s roof destroyed. The fire, which started at 14.40 today (Friday), saw 300 members of staff and 100 visitors evacuated from the historic building. “We need to know what happened and how. I’m puzzled by how it could have started. 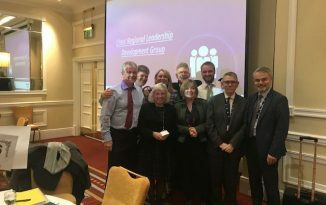 Clearly we need an inquiry.” Aled Gruffydd Jones, who will take over as Head Librarian in August, told the BBC earlier today. Around 30 firefighters attended the blaze, which is now confirmed to be extiguished, between 15.15 and 18.30. The fire started in office space at the top of the building which is used to store newly acquired items. At this point no books are thought to be damaged. 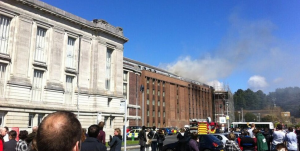 Whilst the cause is still unknown Arwel Jones, the Director of Public Services at the Welsh National Library said that workers had been on the roof, close to where the fire started. There is nothing to suggest this is linked to the incident. 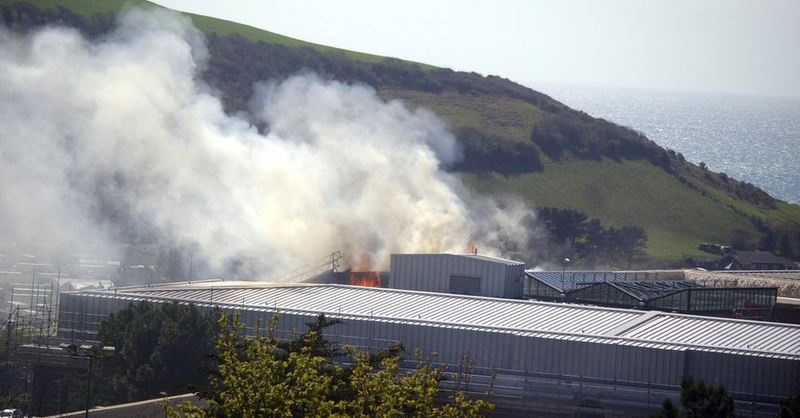 The library is situated next door to Aberystwyth University’s Sports Centre which was closed as a precaution. The library will remain closed tomorrow. 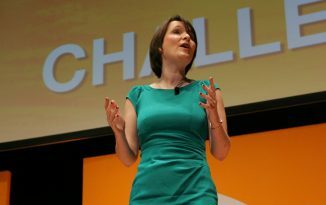 The National Library of Wales is home to some 4 million books including a large range of rare Welsh language published works. “It is not just important to the academic life of the town, it is important to the cultural life of the whole of Wales.” Dylan Lewis, the Mayor of Aberystwyth said.